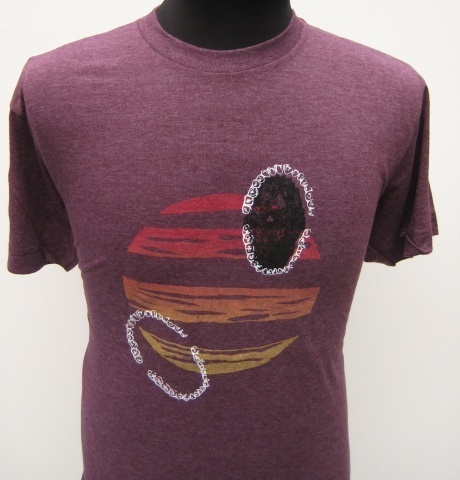 Take a bite out of something with this Maroon Mens, American Apparel tee. CAUTION: Contains hand printed Original Art work. Available in a Men's Large and Medium.